Though classic in appearance, our sliding windows are, in reality, shining examples of advanced window technology, gliding open to instantly bring the outdoors inside. With just a light touch, these windows move effortlessly on their tracks to open and close on a dime. Lift-out sliders with dual brass rollers and a stainless steel axle deliver a top-notch performance year after year. Our sliding windows have a signature narrow-line design that increases the glass area and delivers views that are larger than our competitors. Maintain your pristine panorama with lift-out and swing-in sashes that allow unprecedented ease in cleaning. Whether you prefer vinyl, fiberglass, composite, or wood, we have an option that will meet your design requirements as well as our high standards for performance. 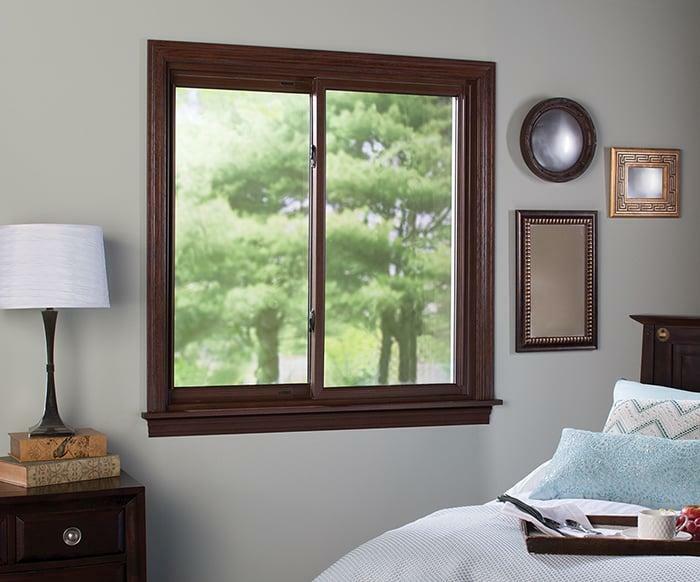 Customize your sliding replacement windows with your own glass and color combination that fits in flawlessly with your décor. When the weather outside is frightful, NEOPOR® rigid thermal insulation protects you from the elements and helps you maintain a temperate interior. Our Sliding windows have a U-Factor rating between .20 and .30 (depending on the glass package you select) and a Solar Heat Gain Coefficient between .23 and .29, making them some of the most energy efficient on the market. That, combined with one of the lowest air infiltration ratings in the industry, helps homeowners see dramatic savings on their heating and cooling costs.